Crane holiday is held at initiative of International Crane Foundation and Wild Animal Protection Center in cooperation with Ministry of Environment and Tourism and The Governing Office of Binder Soum of Khentii province in June every year. This event is aimed to protect Mongolian and the world rare white - naped crane and protect water and marshy places. There are 15 species of cranes of 5 types in the world. 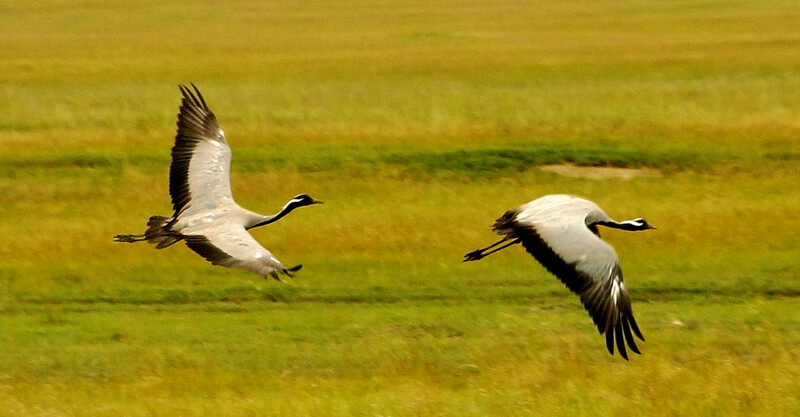 There are six species of crane in Mongolia. The tourists and participants may see beautiful birds, take photo and contribute to protect crane and environment.